Mary uses paints, dyes, and a variety of techniques to create texture on cloth. 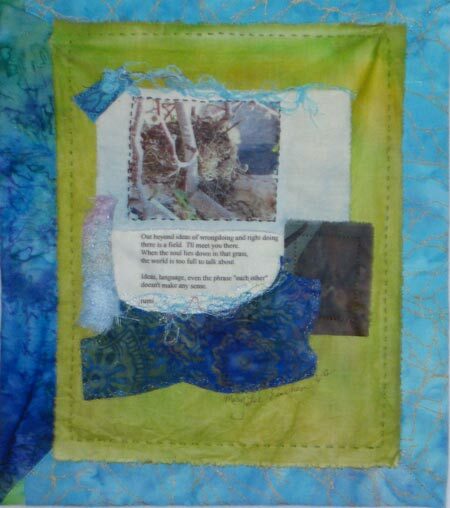 Then she collages fabrics, papers, images, text, and found objects to create mixed media wall quilts. She creates expressions of beauty through the themes of nature, women, family, color, and abstraction throughout her work.